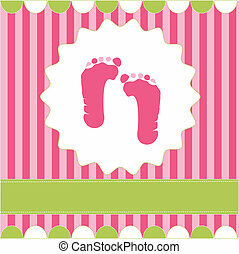 Baby girl handprint - footprint. 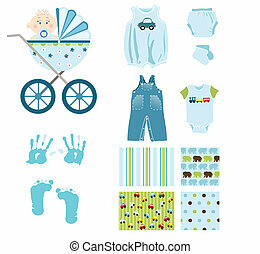 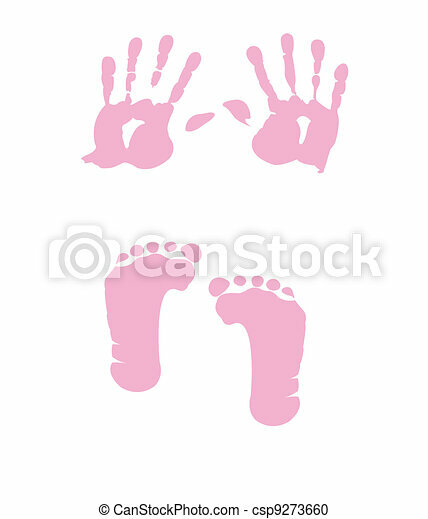 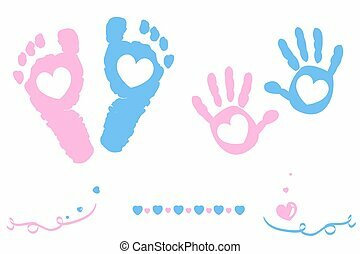 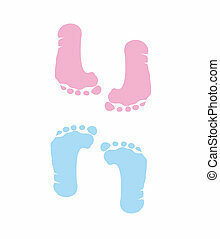 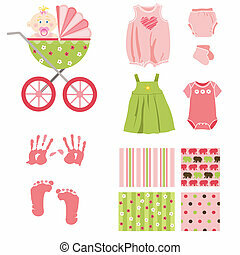 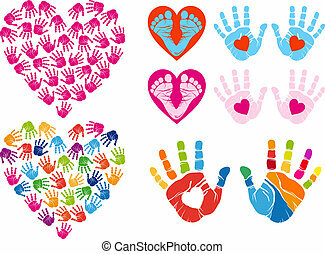 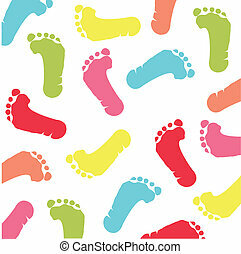 Baby feet and hands icon vector. 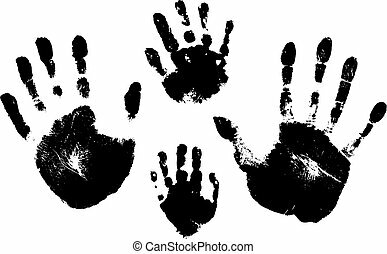 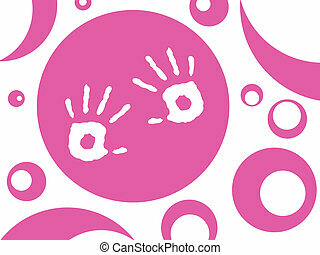 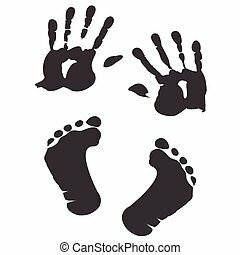 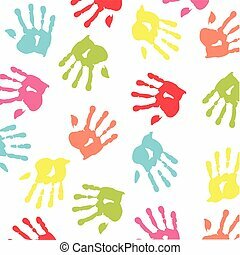 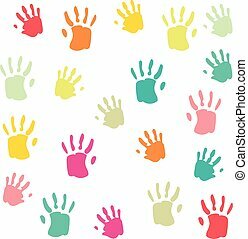 Kid footprint and handprint clipart silhouettes.